It is easy to set up a private blog network as long as you get a good domain. But what do you do after setting up your network? One challenge that PBN owners face is trying to run a network of 50+ and still having time for the money site. After the PBN has been set up, when should you start sending links to your money site? Is there a limit to the number of links you can send? Should you run SEO strategies just like on your money site? This post answers these and other questions you may have. Failure to adhere to PBN best practices when running your network will result to poor performance. Worse still, Google might de-index part of your network. To enhance the performance and stay in line for Google bots to rank you, you need to follow this simple guide. You need to know how and when to link out and how to test for results from your network or individual sites. PBNs are built to support the website that brings you revenue. When setting up correctly and run how they are supposed to be, PBNs will pass the link juice to your site which will in turn rank high on SERP. Should you send as many links to your money site from a single domain as possible? If you do so, will the link juice still be quality? When you send more than one link from a single domain to your money website there is little difference. Large money sites with a ton of products/services or running different departments for different states will link out differently to an affiliate site. However, this does not mean either way is the safer option. Just when webmasters were learning the importance of multiple links, Google introduced an algorithm that reduces the power of links coming from the same domain and pointed towards the same site. You can link out to the same site from a single domain but the power of the links will diminish significantly. 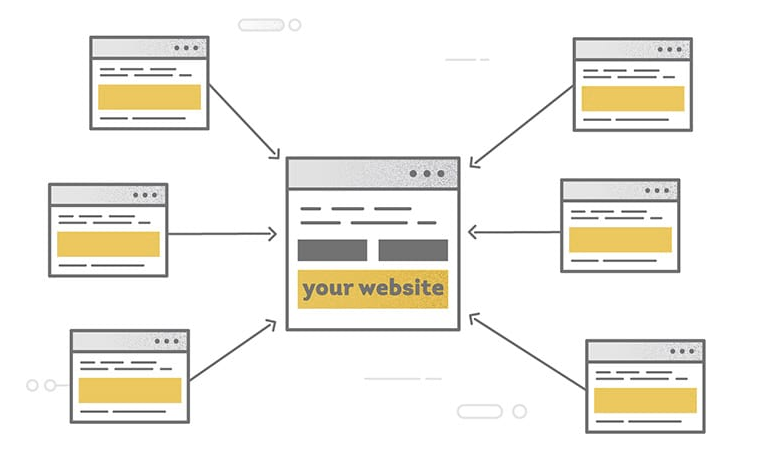 To get 100 percent link juice, aim to link not more than three times from the same domain. How Many Outbound Links to Have? As the number of outbound links rises, the link juice diminishes. Think of it as literal juice; the more the links you send, the less juice each one gets. Having one link from the site will see you take 100 percent of the juice; two links mean 50 percent; 4 links 25 percent and 10 links 10 percent. It is that simple. While this is not cast on stone, reducing the number of links going to your money site from a single domain will give you more authority. At any one time, ensure that the number of links is less than 15. You might get outbound links from other sources. If the links are from authority sites, or small sites that you trust, you should not no-follow them. Google recently introduced a tool allowing you to say “I am not 100 percent sure of this” or “I trust the source”. There are no rules as to the best percentage of anchor texts to have; it is not written on stone. Every niche has specific needs and specific keywords to rank for. For your PBN, you should check pages on the first page of SERP. Check the anchor ratio of these sites and calculate the average for your niche. For this, you might need to use Ahrefs’ referring pages. Anchor text is crucial when you are linking out. Generally, they can get you on the first page of Google or get you stuck on page three and beyond. It will feel unnatural to have the same anchor on different domains carrying the same keyword. Here, you are supposed to be creative and mix things up. For instance, if the keyword you want to rank for is ‘best phone under $100’, you can use different variations as shown below. Is this the best phone under $100? As much as possible, use synonyms. Even if you keep changing the text, it is important that you do not go overboard with the anchor text you use. LSI simply means the use of keywords. Google has changed algorithms severally and this is done to make it better at recognizing keyword synonyms. By using synonyms, you make your site sound natural while still ranking high. If you search a specific keyword on Google, you will see bold words on sites on the first page of search engine results. Look at the screenshot below. 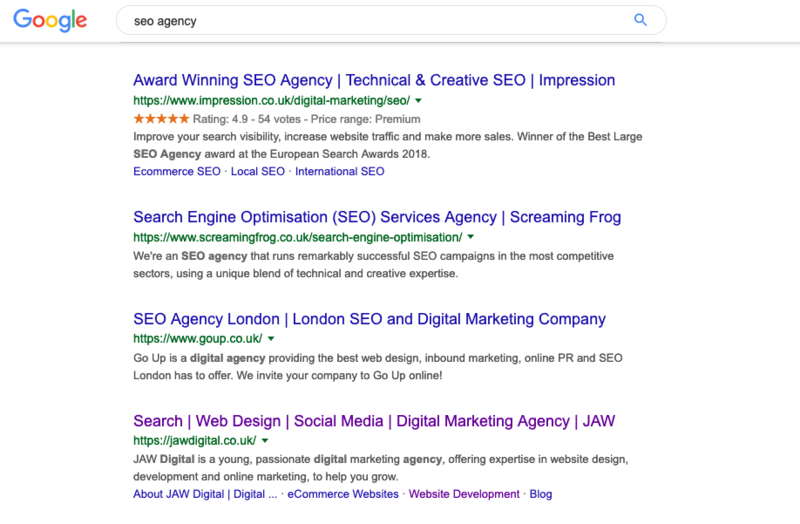 In the screenshot above, the search was for ‘seo agency’ but a number of sites there have ranked for ‘digital agency’ and some for ‘digital marketing agency’. Google will bold keyword synonyms for you to recognize. Synonyms help you write naturally. You do not have to force the keyword into the text, you can use synonyms so your text reads naturally. There are so many search engine optimizers who insist on using keywords ‘as they are’. While this alone will not get you de-indexed, some keywords cannot be used ‘as they are’. Take for instance a keyword such as ‘plumbing NY’. When you force this keyword into your content, your readers will know the keyword is there for no other reason other than SEO and get turned off by it. Google bots go through each sentence in your text. This way, using keywords such as ‘plumbing in NY’ or ‘NY plumbing company’ will get you ranked for all keywords related to ‘plumbing NY’. Today, changing anchor texts is seen as spam. Google came up with an algorithm that scans sites for unnatural changes and manipulation of anchor text. There are instances where the new link will fit naturally and be seen by Google bots, but in some instances, the new link is bypassed by the bots. Anchor text changes should be accompanied by an overall change in content. Instead of changing a single sentence, add 100 words, an image or a video to the content to validate the change. If you need to rank for the keyword “best laptop 2018”, you will want to rank for the same keyword in 2019. To do this, you will want to add the word ‘2019’ in your anchor text around November or December 2018. Will Your PBNs Bring Any Results? Before you start linking out from your PBNs, it is important that you test for a positive push. Basically, this involves ascertaining that your PBNs will not have any negative repercussions on your money website. The process of testing is simple. You can use another website in your network as a punching bag. Choose a website that has consistently ranked on page 2 or page three. Send out a few links to this website and watch the direction it goes in a week or two. If the website does not move from page two, it means that your PBNs are not toxic, it’s only that the site might be lacking something else. You can use Ahrefs or SEMRush to test for the toxicity of your PBNs. When using Ahrefs, enter your domain on the site explorer and then, ‘explore’. Navigate to the top pages and filter from page 2. Here, you will need to select a keyword; a non-commercial keyword is preferable. Check backlinks on the selected page and confirm whether there are links with the anchor of your choice. If this page has no matching anchors and no authority sites are linking to it, then your PBN will do less to rank such a page. If everything checks out, proceed to create links for your money website. After making sure that your PBNs are not a threat to your money website, you need to start linking out. You only need an article, of at least 500 words, with a related topic. Use the exact keyword and keyword synonyms to rank on the first page of the SERPs. With the keyword and the anchor text you researched in stage 2, link out to your money website. Images and videos will help you pass spam tests. Enter your keywords in rank trackers and watch the space. After waiting for at least 7 days, check your rank trackers for any movements. If your website ranking goes down within the two weeks waiting period, wait for a week and then remove the link. If the website returns to normal, perform another test with a different link. If the website ranking still goes down, you need to remove this domain. If after adding the link the website ranking goes up, it means you are packed to go and you can add your domain to your network. This is the worst of the three results. Neutral means that nothing happens. With neutral results, it is either you picked the wrong keywords or a bad surrogate and your PBN will not help you rank. So drop it like a hot potato and move on. If you follow these simple guidelines, you will get the results you want.